If you have extensive tooth decay that’s threatening the health of a tooth, the teeth surrounding it, or your gums, then your tooth may require more than a dental filling. It may be necessary to cover the tooth with a dental crown after removing all of the decay. A dental crown may also be necessary if your tooth has decay in a spot that is difficult to fill effectively. A dental crown sits on top of a damaged tooth and can help strengthen the tooth with a large filling when there isn’t enough tooth remaining to hold the filling on its own. 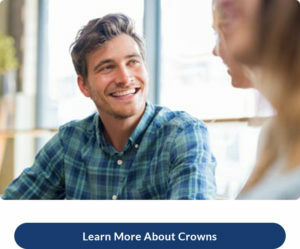 Crowns can also be used to attach bridges, protect a weak tooth from breaking, or restore one that’s already broken. A crown is a good way to cover teeth that are discolored or badly shaped and is also used to cover a dental implant.